Th This is a Solicitation notice (synopsis) for a competitive procurement to the maximum extent practical. The Commander, Navy Installations Command (CNIC) Fleet and Family Readiness (FFR) organization is a United States Department of Defense (DoD) agency that provides Quality of Life (QOL) support services for Military Departments, Military Members and their families under conditions of peace and war. The FFR Marketing has a requirement for a contractor within the local Memphis, Tennessee commuting area to provide High Definition Video Production Services per the performance work statement. The contractor will be responsible for pre-production, production and post-production services of both short and long videos. This requirement may include work on multiple videos at multiple locations within CONUS and OCONUS. 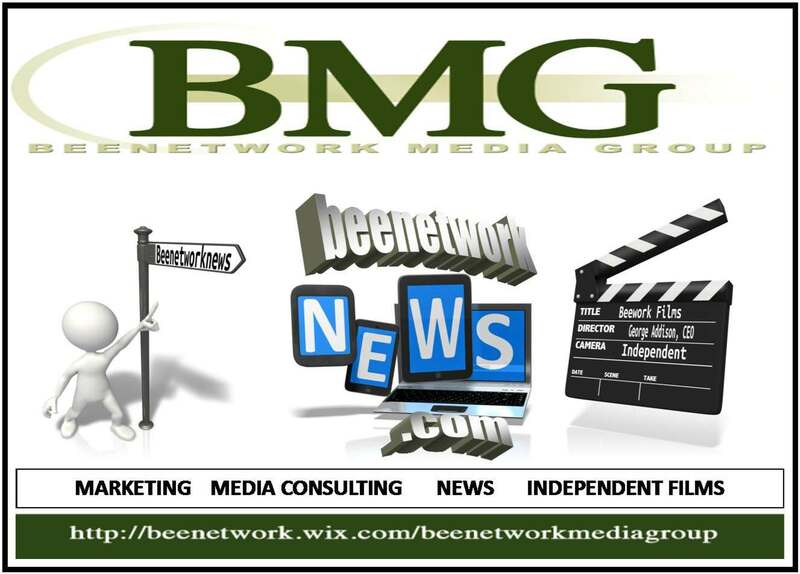 Video production services include, but are not limited to, writing, directing, shooting, arranging for talent, narration, music and sound effects, duplication, video scoring and editing. The contractor may be required to film in studios, on locations, live shows or events. The contractor shall provide qualified personnel, services, material and supplies necessary to perform the requirements described in the performance work statement. This Non-Appropriated Fund Instrumentality (NAFI) intends to award a Firm-Fixed Price Indefinite Delivery Indefinite Quantity (IDIQ) type contract for this requirement. Any resulting contract from this requirement will allow for the placement of Firm-Fixed Price or Time and Materials Task Orders using the labor categories, equipment prices, and ceiling rates defined in the contract. The NAICS code for this requirement is 512110. The RFP is available electronically at the http://www.fbo.gov website only. It is the responsibility of interested parties to monitor the FedBizOpps website for any amendments to the RFP package. This solicitation is being issued pursuant to the personal services contracting authority granted by Congress in the Consolidated Appropriation Resolution for 2003 (P.L. 108-7). A firm-fixed-price purchase order will be issued to the successful student or recent graduate selected for the position. The base period of performance for this purchase order is twelve months with two twelve month options to extend the period of performance. In an effort to clarify the terms student and recent graduate, the definitions of each are provided below. A student is an individual, at least 18 years of age, who is enrolled, in good standing, in a degree program (actively seeking a degree) at a recognized educational institution. A student is not required to carry a full course load, as long as the individual is a bona fide student, not merely someone who signed up for a class in order to work under these contract arrangements. A recent graduate is an individual, at least 18 years of age, who has graduated with a degree from a college or university within the last two years. The Government will make contract award based on evaluation factors other than price which will consider the following: Total months of relevant employment/volunteer service; Total years of study (includes undergraduate and graduate) in Biology, Chemistry, and/or Molecular Biology subjects; Total course hours in biology/chemistry laboratory training; and Cumulative grade point average. Submissions in response to this solicitation must be submitted before 5:00 p.m. EST, Thursday, October 23, 2015 via e-mail to Contracting Officer Claudia Armstrong, at Armstrong.claudia@epa.gov and Contract Specialist, Ron Bell at bell.ron@epa.gov. All email submissions must have ¿RFQ-DC-15-00265¿ in the subject line. Late submissions will not be considered eligible for award and incomplete submission may not be considered at the Contracting Officer¿s discretion. No telephone inquiries will be accepted in response to this solicitation. Prior to applying for this position, applicants are encouraged to visit the following web page to access information related to this announcement: https://www.fedconnect.net/FedConnect/ Please follow the link located under the ¿Announcements¿ header, entitled ¿RFQ-DC-15-00265¿Student Services Contract¿ and review all of the attached documents. You are encouraged to visit this webpage periodically to check the status of this announcement and to see whether or not any amendments (changes to the requirement of the posted position) have been issued. Foreign national students are required to fulfill all of the requirements outlined in the eligibility section of this announcement. Upon receipt of the contract award, the student contractor must go immediately to link http://cdx.epa.gov/warning.as and register with the Central Data Exchange (CDX) and complete the iBoard application. The student contractor must enter the COR as the point on their iBoard application. The student contractor should notify the COR when they have completed their iBoard application. The student must complete iBoard before beginning work. The contract may be terminated if the background check reveals a risk to the interest of the U.S. Environmental Protection Agency and national security. In addition, the individual(s) selected will be required to register with System for Award Management (SAM) and Dun & Bradstreet to obtain a Data Universal Number System (DUNS number) or DUNS +4 number. To obtain a DUNS number, students or recent graduate contractors can call Dun & Bradstreet 1-866-705-5711 or contact D&B athttp://www.dnb.com/updte To register with SAM, contractors can call 1866-606-8220. There is no charge to register for DUNS or SAM. In addition, students or recent graduates who have been selected for this position will be required to sign an Acknowledgement of Special Terms before work can begin and are subject to these terms as outlined in Attachment 4 of this solicitation. Failure to submit the required documents may be determined nonresponsive and eliminated from consideration. This contract is expected to begin approximately (January 2016). The hourly rate is $18.47 per hour for a student who has 3 years of college or greater. The student contractor must be currently enrolled in a degree program at an accredited University/College or a recent graduate within the last 24 months. The student contractor will be paid the basic hourly rate only for the number of hours worked and will not receive overtime pay for any hours worked beyond the 40-hour work week. The student contractor does not accrue leave or holiday benefits and are not paid for any non-work days, regardless of the reason. The student contractor is considered an independent contractor; therefore, Federal, State, Local, Social Security, and Medicare taxes will not be withheld. The student contractor is responsible for reporting income to authorities and paying all taxes. The student contractor is responsible for all costs of transportation to and from the principal duty station location. EPA does not provide housing, meals or other living expenses while working at the principal duty station. Non-U.S. citizens may be eligible to participate, depending on their immigration status and the applicable regulations of the United States Citizenship and Immigration Service (USCIS). All non-US citizens must submit, as part of their proposal package, evidence of their immigration status that allows them to work in the United States. Students should possess a current US Visa and be able to obtain US work authorization in a timely manner if offered a contract. Students without a US Visa are not eligible. If applicable, applicants shall submit all necessary documents to a recognized private U.S. organization that specializes in interpretation of foreign educational credentials, usually named a credential evaluation service. To be suitable, the foreign credential evaluation must include and describe (i) type of education received by the applicant (i.e., conventional, by mail, or online), (ii) degree of education relative to the U.S. education system, and testify that its comparability recommendations follow the general guidelines of the U.S. National Council for the Evaluation of Foreign Educational Credentials, (iii) the content of the applicant’s educational program earned abroad and the standard obtained, (iv) the ranking of the awarding foreign schools¿ credit and authenticity in its own country’s education system, (v) what the evaluation service did to obtain this information, (vi) the qualifications of the evaluator, and (vii) any indications as to other concerns such as falsification. Foreign credential evaluations that do not include all the above information or indicate there is not enough information on which to make a sound evaluation will not be accepted. INTERESTED PARTIES MUST COMPLETE ATTACHMENT 3, ¿STUDENT PROPOSAL FORM FOR RFQ-DC-15-00265. Please provide a one or two page resume or statement of qualifications, this proposal form and attach a copy of all your college/university transcripts (unofficial copies are acceptable, if it is apparent from the transcript copy that is a copy of an official document and that the school is identified), and submit to Ron Bell, Contract Specialist, via email at bell.ron@epa.gov or fax to: 202-565-2558. The submission deadline will be listed at the website shown below. Questions regarding this student contract should be directed to the Contract Specialist at bell.ron@epa.gov. Questions regarding the technical aspects of the contracted duties and responsibilities should be directed to Tammy Jones-Lepp, the EPA technical mentor for the contracted activities at jones-lepp.tammy@epa.gov, 702-798-2144. Tammy Jones-Lepp will serve as the Contracting Officer Representative (COR), and John Zimmerman as the Alternate COR. Required Level of Education 3 Years of College or greater. The National Exposure Research Laboratory (NERL) is responsible for conducting studies of exposure of ecosystems and humans to environmental stressors. Emerging contaminants (ECs) are among the stressors of concern and NERL is developing methodologies to assess occurrence data. Occurrence data is necessary for developing risk assessments, whereby risk from a particular exposure is considered and estimated as to its impact on ecosystems and ultimately human health. As a part of this effort, the NERL-Environmental Chemistry Branch, Las Vegas, Nevada, is developing specific approaches to develop standardized methods where analytical gaps are identified for specific ECs in a variety of environmental matrices, and ground-truth those standardized methods. The student will work within a multi-disciplinary research team and will provide technical laboratory support for research projects characterizing emerging contaminants (i.e., algal toxins, pharmaceuticals, HF compounds, etc.) in a variety of environmental matrices (e.g., biosolids, wastewater, surface and ground water, soils, sediments, plants). Specific duties will include assisting research staff in: (1) preparation of environmental samples, including hazardous environmental samples, for extraction; (2) perform environmental sample extractions using solid-phase liquid extractors, centrifuges, and accelerated solvent extractors; (3) operation and analyses of environmental extracts using a liquid chromatography/mass spectrometer (LC/MS), and/or gas chromatography/mass spectrometry (GC/MC)and/or ICP/MS, and/or scanning electron microscope (SEM); and (4) compilation and summarization of experimental data and literature references into organized computer files. General laboratory support duties may include maintaining research supplies and materials, routine maintenance of laboratory equipment, solution preparation, and other duties necessary to carry out the studies. The student will perform duties, as requested, according to specifications and instructions provided by the mentor. Where appropriate, the student will maintain careful and accurate records in designated laboratory notebooks. These notebooks, and all other data produced under this order will be the property of the Environmental Protection Agency. The student contractor will be well-versed, and adhere to, proper quality assurance (QA) laboratory procedures. The student contractor shall perform duties, as requested, according to specifications and instructions provided by the mentor. Where appropriate, the student contractor shall maintain careful and accurate records in designated laboratory notebooks. These notebooks and all other data produced under this order will be the property of the Environmental Protection Agency. All necessary instructions and training will be provided by the EPA mentor. As indicated in the Statement of Work, the student contractor may be expected to participate in conferences and seminars. The student needs to have completed three years of college in the areas of chemistry, biology, environmental sciences, or related field. The preferred student will have training and/or experience in advanced laboratory techniques, and/or environmental studies. The student should be familiar with solid-phase liquid extraction procedures using automated laboratory equipment, high pressure solid extraction procedures using automated laboratory equipment, and manual extraction procedures of animal tissue (i.e., fish and rat plasma) using manual extraction procedures (i.e., liquid/solid, liquid/liquid, and centrifugal operations). The student should also be familiar in operation of liquid chromatograph-mass spectrometers, such that the student can change the gases, pump oil, load the autosamplers, initiate and startup mass spectrometer for successful operation. The student will need to know basic laboratory safety requirements and will be given additional safety training at the Environmental Sciences Division. Student contractors awarded a contract will have to undergo a background investigation, a check of FBI fingerprint files, and a suitability determination by the Environmental Protection Agency. Upon receipt of the contract award, go immediately to link http://cdx.epa.gov/warning.as and register with the Central Data Exchange (CDX) and complete the iBoard application. Notify the Contracting Officer¿s Representative (COR) as soon as this process is completed. (Tammy L Jones-Lepp, jones-lepp.tammy@epa.gov) The student contractor must review and complete the requirements before beginning work on-site at the EPA. If a background check reveals information to indicate the student contractor represents a risk to the interests of EPA and the national security, the contract may be terminated. Students or recent graduates, who are EPA ORD employees, or the spouse or child of an EPA ORD employee, are not eligible to participate. Work will be performed in a laboratory. Students will be required to wear safety apparel and to closely observe safety requirements. EPA Quality Manual for Environmental Programs, EPA Order 5360 A1, May 2000. Work performed by the student contractor must be in compliance with the following QMP: National Exposure Research Laboratory (NERL), Integrated Information and Quality Management Plan (IIQMP), published 2005; and an approved QAPP [and/or Standard Operating Procedures (SOPs)] which must be in place prior to the initiation of the students¿ research activities. The student contractor must complete the NERL online IIQMP training. Work will begin on or about January 2016. The initial contract will be for one year, with an two options for an additional 24 months, in two option increments, if funds are available. It is anticipated that the student contractor will/may work up to 40 hours per week during the summer months and up to 20 hours/ week during the academic year. The rate of compensation includes the cost of self-employment taxes for Social Security and Medicare. The rate of compensation for this position includes the cost of self-employment taxes for social security and Medicare. Interested students and recent graduates shall provide a one or two page resume or statement of qualifications, including a copy of the transcripts and documentary evidence from USCIS, if applicable. In addition to the resume and transcripts, individuals applying to this announcement must complete Attachment 3 of this solicitation, entitled ¿Student Proposal Form¿ and submit as a part of their application package. Students must also submit a statement certifying the student accepts hourly rate of is acceptable for the duration of their employment. A student or recent graduate is required to submit three letters of recommendation. The letters may be from an academic advisor, major professor, or other professional associate familiar with the applicant¿s skills and performance. Foreign National students must submit the required documents outlined in the eligibility section of this announcement. This is only for a single student position. Only one position will be awarded. Non-U.S. citizens may be eligible to participate, depending on their immigration status and the applicable regulations of the Bureau of Citizenship and Immigration Service (BIS), formerly known as the Immigration and Naturalization Service. All non-US citizens must submit, as part of their proposal package, evidence of their immigration status that allows them to work in the United States. Students should possess a current U.S. Visa and be able to obtain U.S. work authorization in a timely manner if offered a contract. Students without a U.S. Visa are not eligible. Academic degrees fulfilled outside of the United States must be judged to be equivalent to that achieved in accredited U.S. education programs in order to be acceptable for this contract. More information about the evaluation of foreign education can be found at the U.S. Department of Education’s web site athttp://www2.ed.gov/about/offices/list/ous/international/usnei/us/edlite-visitus-forrecog.html If applicable, applicants shall submit all necessary documents to a recognized private U.S. organization that specializes in interpretation of foreign educational credentials, usually named a credential evaluation service. To be suitable, the foreign credential evaluation must include and describe (i) type of education received by the applicant (i.e., conventional, by mail, or online), (ii) degree of education relative to the U.S. education system, and testify that its comparability recommendations follow the general guidelines of the U.S. National Council for the Evaluation of Foreign Educational Credentials, (iii) the content of the applicant’s educational program earned abroad and the standard obtained, (iv) the ranking of the awarding foreign schools¿ credit and authenticity in its own country’s education system, (v) what the evaluation service did to obtain this information, (vi) the qualifications of the evaluator, and (vii) any indications as to other concerns such as falsification. Foreign credential evaluations that do not include all the above information or indicate there is not enough information on which to make a sound evaluation will not be accepted. R — Radio, Television and Multi-Media Services BBG45-Q-15-OCB00571 100915 Mary A. Amps, Contracting Officer, Phone 305-437-7031, Fax 305-437-7046, Email mamps@bbg.gov (i) THIS IS A COMBINED SYNOPSIS/SOLICITATION FOR A COMMERCIAL ITEM PREPARED IN ACCORDANCE WITH THE FORMAT IN SUBPART 12.6 AS SUPPLEMENTED WITH ADDITIONAL INFORMATION INCLUDED IN THIS NOTICE. THIS ANNOUNCEMENT CONSTITUTES THE ONLY SOLICITATION; PROPOSALS ARE BEING REQUESTED AND A WRITTEN SOLICITATION WILL NOT BE ISSUED. (ii) Solicitation No. BBG45-Q-15-OCB00571 is issued as a Request For Quotation (RFQ) and a contract will be awarded using simplified acquisition procedures in FAR Part 13. (v) The contractor shall provide a Firm Fixed Price quotation showing an assignment for a base period of three (3) months and three (3) option period of three (3) months. Multiple awards will be considered for this requirement at the discretion of the Government. (vi) The Broadcasting Board of Governors (BBG), Office of Cuba Broadcasting (OCB) located in Miami, FL anticipates establishing Non-Personal Services Purchase Orders with Independent Contractors for Radio, Television and Multimedia services as described in the attached Statements of Work (SOWs) for Office of Cuba Broadcasting (OCB) in Miami, Florida. Offerors may submit for more than one Statement of Work, however they must submit an individual quote i.e. technical and price for each SOW. The Offerors selected for an award must be able to successfully pass a BBG security investigation. (vii) The period of performance is anticipated to start November 1, 2015 through October 31, 2016. The Contractor shall submit a monthly invoice electronically for services provided the preceding month. (viii) The Federal Acquisition Regulation (FAR) provision FAR 52.212-1 Instruction to Offerors-Commercial Items, applies to this solicitation. FAR provisions and clauses may be obtained from the Internet Web address at: http://acquisition.gov/far/index.html Interested contractors who are capable of providing these services should submit a proposal identifying capabilities as noted below. The contractor shall demonstrate the ability and experience in providing the required services. 1. Technical Proposal (Resume) that states the Offeror’s resume/curriculum vitae that includes work experience, education and specialized training necessary to provide the required services under solicitation. Also, include evidence of the Offeror’s pertinent past performance that can be easily and quickly validated by the OCB. Dates (months/years) and locations for all field experience must also be detailed. 2. Contractors shall submit their price quotation for base and option periods on an hourly basis. Work will be on an as-needed basis, subject to availability of FY-2016 funds and mission consideration. INTERESTED OFFERORS RESPONDING TO THIS SOLICITATION SHALL SUBMIT THE FOLLOWING ITEMS TO THE CONTRACTING OFFICER: (1) a Technical Proposal which addresses the technical factors described below in (ix) and (2) and a Price Proposal in accordance with (ix). A copy of FAR 52.212-3 Offeror Representations and Certifications-Commercial Items or a statement that FAR 52.212-3 has been completed in the System for Award Management website. The technical and price proposals must be submitted separately. No price information should be contained within the technical proposal. To ensure consideration for the intended position, please reference the solicitation number on your proposal and the position name on the individual Statement of Work the offeror is responding to. If responding to multiple SOWs, separate proposal packages are required for each SOW offeror is responding to. 3) A separate Price Quotation showing a breakdown of the price on an hourly basis. The prices shall be provided in in English and United States dollars. (See attachment B – Example Price Quotation). Price quote for base period shall be the same for each option period. (x) Offerors shall include a completed copy of the provision FAR 52.212-3 Offeror Representations and Certifications-Commercial Items which is completed by registering in the System for Award Management (SAM) Website at: https://www.sam.gov/portal/public/SAM/ Proposals must also include contractor’s DUNS Number, prompt payment terms, and correct remittance address, if different from mailing address. OFFERORS MUST BE REGISTERED WITH SAM PRIOR TO CONTRACT AWARD. (xiii) Additional FAR provisions and clauses incorporated by reference and applicable to this solicitation and the proposed subsequent contract are: 52.217-8 Option to Extend Services; 52.217-9 Option to Extend the Term of the Contract; 52.237-3 Continuity of Services; 52.232-18 Availability of Funds; and, 52.242-17 Government Delay of Work; 52.243-1 Changes-Fixed Price. (xv) Failure to provide any of the above-required Items may result in the rejection of your proposal. Full text of all FAR clauses and provisions are available electronically at the following Internet address: (http://www.arnet.gov/fa). Proposals shall be in writing and must be signed by an official who is authorized to bind the organization. Oral proposals will not be accepted. ALL TECHNICAL PROPOSALS (resumes), PRICE QUOTES AND PAST PERFORMANCE REFERENCES MUST BE SUBMITTED ELECTRONICALLY TO OCBTALENT@BBG.GOV BEFORE THE CLOSING DEADLINE BELOW to Mary Amps, Contracting Officer, Broadcasting Board of Governors, Office of Cuba Broadcasting. CLOSING DEADLINE is 5 PM, Eastern Standard Time on October 9. 2015. (xvi) Contact: Mary Amps, Contracting Officer, email: OCBTALENT@BBG.GOV. All responsible sources may submit an offer that will be considered by the Agency. R–LIFEGUARD SUPPORT SERVICES AND LIFEGUARD TRAINING PROGRAM N0018915T0597 MISTY ALVAREZ 7574431968 This is a COMBINED SYNOPSIS/SOLICITATION for commercial supplies prepared in accordance with the information in FAR Subpart 12.6, using Simplified Acquisition Procedures found at FAR 13, as supplemented with the additional information included in this notice. This announcement constitutes the only solicitation; a written solicitation will not be issued. PAPER COPIES OF THIS SOLICITATION WILL NOT BE AVAILABLE. This combined synopsis/solicitation SHALL be posted on both FEDBIZOPPS and NECO (http://www.neco.navy.mil). The solicitation number is N00189-15-T-0597 and is issued as a Request for Quotes (RFQ). The Government intends to award a firm-fixed-price purchase order. This solicitation documents and incorporates provisions and clauses in effect through FAC 2005-84 and DFARS Change Notice 20150826. It is the responsibility of the contractor to be familiar with the applicable clauses and provisions. The clauses may be accessed in full text at these addresses: http://www.acqnet.gov/far and http://www.acq.osd.mil/dpap/dfars/index.ht . The Government intends to solicit and negotiate, on a TOTAL SMALL BUSINESS SET-ASIDE basis, a contract to supply service for lifeguard support services and lifeguard training for 30 midshipmen to become certified lifeguards. The contractor shall provide lifeguard support each week for one (1) session per weekday between 11:45 – 1:45 at the United States Naval Academy Lejeune Pool with the exception of construction or swimming championship meets with support being provided at Scott Pool or MacDonough Pool, Annapolis, Maryland. The contractor shall train and re-certify, as required, up to 30 midshipman to become certified lifeguards once per academic year to include First Aid card combination with CPR/AED/PR. Services for lifeguard support and lifeguard training is for one year and three option years and shall be in accordance with the Performance Work Statement (PWS). The NAICS code is 713940 and will be processed as a total small business set-aside. The Small Business Standard is $7.5M. The required Period of Performance is 01 October 2015 to 30 September 2016, and three option years. 52.222-36 Affirmative Action for Workers with Disabilities. 52.225-25 Prohibition on Contracting with Entities Engaging in Certain Activities or Transactions Relating to Iran–Representation and Certifications. 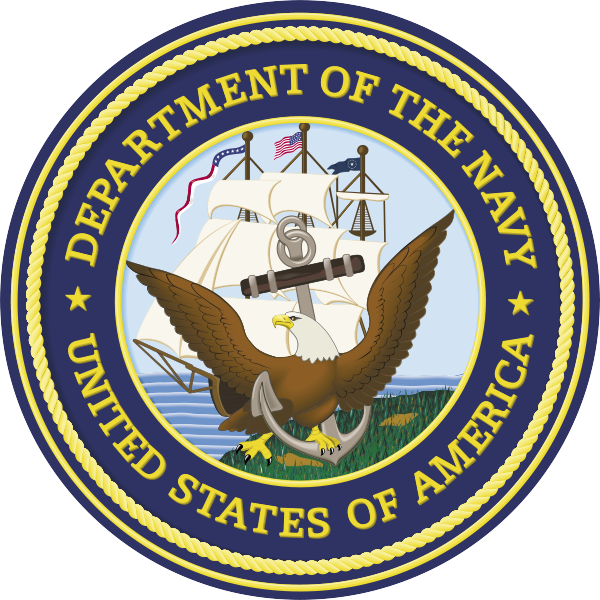 In addition to FAR 52.212-1, “Instructions to Offerors – Commercial Items,” and shall be received by NAVSUP Fleet Logistics Center Norfolk NLT the closing date of the solicitation. This requirement will be awarded using procedures under Federal Acquisition Regulation (FAR) Part 12 – Acquisition of Commercial Items and FAR Subpart 13, Simplified Acquisition Procedures. All Quoters should ensure that the content of its technical capability descriptions are such that it demonstrates its understanding of and capability to meet all of the requirements of the PWS. The information provided should be presented in such a manner as to enable the Government to make a thorough and complete evaluation and arrive at a sound determination as to whether or not the products proposed and described will satisfy the requirements of the Government as stated in this request for quote. Quotes submitted shall be in accordance with the Schedule and Performance Work Statement contained in the solicitation. Quotes shall be held firm for sixty (60) days. Offerors may submit questions regarding clarification of solicitation requirements to Ms. Alvarez by e-mail at misty.alvarez@navy.mil by Wednesday, September 24, 2015 at 11:00 a.m. EST. Any questions received after this date may not be answered. Response to this solicitation is due 25 September 2015 at 11:00am local time, Norfolk, VA. Quotes shall be submitted via email to misty.alvarez@navy.mil. Please reference the solicitation number on your quote. Oral communications are not acceptable in response to this notice. System for Award Management (SAM) [Formerly CCR – Central Contractor Registration]. All quotes shall include price(s), a point of contact, name and phone number, CAGE Code, DUNS Number, business size and payment terms. (a) The Government will award a contract resulting from this solicitation to the responsible offeror whose offer conforming to the solicitation will be most advantageous to the Government, price and other factors considered. The following factors shall be used to evaluate offers: Technical and Price. The Technical evaluation factor is more important than the Price Proposal evaluation factor. 1) TECHNICAL<br>The Government will evaluate each vendor’s Written Technical submission acceptable (pass) or unacceptable (fail). <br>Technical Acceptability – Technical acceptability will be determined based on an evaluation of the vendor’s technical submission. Pass (P): Technical submission demonstrates that the information quoted meets the Government’s requirements as set forth in this Request for Quote. Fail (F): Failing to provide any of the technical information and/or providing unclear or inadequate information proposed that does not meet the Government’s requirements. Note: If the Contracting Officer determines that a vendor’s Written Technical Submission is “unacceptable,” that vendor’s entire submittal may be determined to be technically unacceptable and may no longer be considered for further competition or award. The vendor’s proposed price will be evaluated on the basis of price reasonableness. ii. Comparison with independent Government cost estimates. Vendors responding to this solicitation are advised that, prior to award, the government may request vendors to submit information/data to support price reasonableness such as copies of paid invoices for the same or similar items, sales history for the same or similar items, price list with effective date and/or copies of catalog pages along with any applicable discounts. Failure to submit the requested information may result in disqualification of the submitted quote. Establishment of a competitive range is not anticipated; however, the Government reserves the right to establish a competitive range if determined by the Procuring Contracting Officer to be in the best interest of the Government. The Government will evaluate offers for award purposes by adding the total price for all options to the total price for the basic requirement. The Government may determine that an offer is unacceptable if the option prices are significantly unbalanced. Evaluation of options shall not obligate the Government to exercise the option(s). (c) A written notice of award or acceptance of an offer, mailed or otherwise furnished to the successful offeror within the time for acceptance specified in the offer, shall result in a binding contract without further action by either party. Before the offers specified expiration time, the Government may accept an offer (or part of an offer), whether or not there are negotiations after its receipt, unless a written notice of withdrawal is received before award. R — Supervisory Development Outreach and Communications 617-15-0010 102015 Grace W. Nakaddu, Administrative Specialist , Phone 256-41-4306-001, Fax 2546-41-4306-661, Email gnakaddu@usaid.gov – Alimo Florence, Acquisition and Assistance Assistant , Phone 000256414306001, Email falimo@usaid.gov 1. Position Title: Supervisory Development Outreach and Communications 2. Market Value: GS-14 Equivalent $86,399 to $112,319. Final compensation will be based upon the candidate past salary and work history, experience, and educational background of the successful candidate. 3. Place of Performance: Kampala, Uganda 4. Period of Performance: Two year Contract. 5. The U.S. Agency for International Development Mission in Uganda seeks to employ a U.S. (U.S. and Resident Aliens) Personal Services Contractor who will implement development, outreach, and communications efforts to increase awareness of USAID assistance programs in Uganda for a variety of audiences within and outside of Uganda. 6. Education: It is preferred, but not required, that the candidate hold a Master’s degree with significant coursework in relevant fields. Relevant fields include – but are not limited to – journalism, communications, public relations or affairs, international relations, international development, public administration, Development/area studies, and social studies. Eight to 10 years’ experience as a journalist, in public affairs or international relations is required. 7. Work Experience: At least five years’ relevant experience in a developing country. Relevant experience is defined as work in journalism, public relations, communications, and/or outreach. 8. Language Proficiency: The candidate must be fluent in both spoken and written English. 9. Skills and Abilities: The candidate must have a demonstrated capacity in the following skills and abilities: Demonstrated ability to exercise sound, independent, professional judgment; Excellent organizational and critical thinking skills; Excellent written and verbal communication skills with a demonstrated ability to translate highly technical material into easy to understand narrative; Exceptional interpersonal skills with the ability to influence relationships positively; Superior project management skills and the ability to take initiative working with the direction of management; must be able to take ownership of projects, creatively problem solve and see through to completion; Strong and demonstrated knowledge of the principles and practices of public relations, media relations, and journalistic writing and reporting techniques; Knowledge of technical aspects involved in the production of different public outreach activities, such as production of televised programs; Superior levels of professionalism while working under pressure in a fast-paced and sometimes difficult or dangerous environment; Willingness to assume duties and responsibilities in all communications areas, as needed; Strong, working knowledge of Microsoft Word, Excel, Power Point, and Internet applications; Familiarity using a digital camera and videotaping equipment; 10. Clearance: U.S. Secret clearance (or the ability to attain one) is required. 11. Applicants who meet the minimum qualifications will be evaluated and ranked based on the selection criteria. Applicants are strongly encouraged to address each of the criteria on a separate sheet describing specifically and accurately what experience, training, education, and/or awards that are relevant to each factor. 12. Notice to Applicants: USAID reserves the right to obtain from previous employers relevant information concerning the applicant’s past performance, technical knowledge, required skills, including teamwork and team-building experience and may consider such information in its evaluation. Shortlisted candidates may be required to submit writing samples and/or do a written test. USAID/Uganda shall not pay for any expenses associated with the interviews. Introduction: The S/DOC is an essential member of the Office of Program and Policy Development, responsible for producing and disseminating public information about mission activities for Ugandan and American consumption and to educate and promote a better understanding of USAID/Uganda programs. In this capacity, the incumbent is responsible for strategically planning, developing, implementing, and administering the DOC program to promote better awareness and understanding of U.S. foreign assistance to Uganda. S/he guides, coordinates, and oversees the mission’s communication practices and outreach efforts, helping to ensure that they reflect the U.S. Government’s (USG) priorities and promote USAID’s accomplishments to key audiences. S/he is also responsible for relaying related policies and achievements to key audiences of the host country, in the United States, and other countries. Major duties and responsibilities: The S/DOC will manage the full range of public information and outreach activities in support of USAID/Uganda’s programs and objectives, targeting information to specific audiences in both the US and (country), in accordance with the Mission’s public strategy and evolving circumstances. 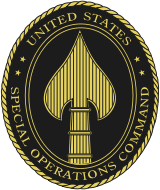 Specific duties include but are not limited to the following: Supervisory and Coordination: Lead the Mission’s Development Outreach and Communications (DOC) team comprised of one to two Foreign Service Nationals to ensure overall quality and coherence of the team’s communications and outreach products and initiatives. Lead the development and implementation of the Mission’s communications strategy and outreach plan. Represent the Mission at the senior level in all matters pertaining to public affairs and outreach activities with other branches of the USG, the Government of Uganda, implementing partners, other donor nations, the UN, World Bank and other groups or institutions. Train USAID’s technical staff in Uganda/Kampala and the regional offices in support of their public speaking and media outreach roles. Oversee the integration of communications in the project design and implementation processes. Serve as the senior advisor to Mission management regarding all public information, media relations, and outreach matters. Maintain up-to-date knowledge of all USAID/Uganda activities and processes, as well as a keen awareness of political and policy issues. Advise USAID staff and implementing partners on developing appropriate public information programs and initiatives. T — Federal Supply Classification T013 SOL N00189-15-T-0554 Due Date: Quote to be Received By: Fri, Sep 25, 2015 Address: NORFOLK, VA 23511-3392 Contact: Buying Party (Purchaser) NAVSUP Fleet Logistics Center Norfolk General Desc: Technical Writer with SSBN ExpertiseDetail Desc: Please See Synopsis For more information about this opportunity please contact the buyer directly. T — Audio/Video and Broadcast Upgrades. SOL Website: http://www.georgetownky.gov/bidsolicitations.asp REQUEST FOR PROPOSALS Audio/Video and Broadcast Upgrades for City Council Chambers and Fiscal Court Chambers. The City of Georgetown is seeking proposals for the design and installation of upgrades to the audio/video and PEG cable broadcasting setup in the City Council Chambers in City Hall and the Fiscal Court Chambers in the County Courthouse. This is a joint city/county project. The City and County desire to provide greater quality of audio/video broadcast, more reliable recording, and increased citizen interactivity during meetings of their respective legislative bodies. The proposal shall be addressed and delivered to City Clerk, 100 North Court Street, Georgetown, KY 40324 prior to proposal opening scheduled for Friday, October 9, 2015 at 2:00 P.M. EST. http://www.georgetownky.gov/Assets/Files/Bid%20Solicitations/2015-09-14%20AV%20Rooms%20RFP.pd This notice is provided by the Kentucky Procurement Technical Assistance Center (PTAC). The information is believed to be correct, but should be verified with the issuing agency/organization. R – Consulting services RFP : 1600000080 Board of Prosthe SOL Consulting services RFP : 1600000080 Board of Prosthetics, Orthotics and Pedorthics Pro Services Published On : 9/24/15 Amended On : Closing On : 10/28/15 4:00 PM EDT For more information about this opportunity please contact the buyer directly. R — Improvement Study – Allen Field – Addendum #1. SOL RFP-17-16 DUE 10/01/2015 Phone: (606) 783-2018, Website: http://www.moreheadstatebids.com Proposals are being accepted for firms to serve as a strategic consultant to a Baseball Stadium Improvement Study for MSU Allen Field. Scope of Work: Resurface the baseball field with either natural grass or field turf -depending on cost estimates and shift home plate back as far as possible in order to provide a deeper right field. Include as a part of this work the demolition and reconstruction of the metal barn indoor hitting cage. Look at the feasibility of shifting the right field fence back as far as possible without affecting the existing site drainage/ dry stream. Included as a part this work would be the demolition and replacement of the right field lighting standard. Also included would be the reworking of the left center fence to provide a more workable fence line. Look at the feasibility (and cost) of covering and tiling a portion of the existing site drainage./ dry stream beyond the right field fence to allow the fencing to be shifted to provide a proper depth right field. Develop a cost analysis for the demolition and replacement of the current stands as necessary to allow for a complete reworking of the ball field. This option would not require work on the existing site drainage/ dry stream. This notice is provided by the Kentucky Procurement Technical Assistance Center (PTAC). The information is believed to be correct, but should be verified with the issuing agency/organization. 99 – Carousel Parts and Service SOL IFB-3522-0-2016/KBM Due Date: 9/29/2015 3:00 PM Eastern Contact: Kim Henry Carousel Parts and Service For more information about this opportunity please contact the buyer directly. 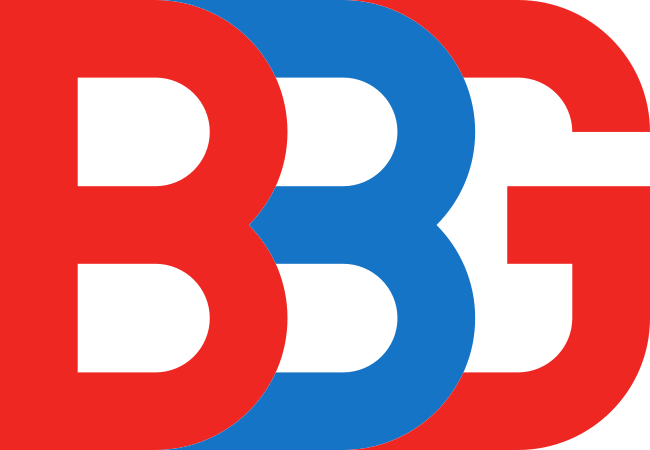 R – Bid 3523 – Zoo Tram, Parts and Service Contract SOL IFB-3523-0-2015/PL Due Date: 9/29/2015 3:00 PM Eastern Contact: Peter Langlois Bid 3523 – Zoo Tram, Parts and Service Contract For more information about this opportunity please contact the buyer directly. R – Planning Consultants SOL RFP47-2015 Due Date: 10/27/2015 Program Management Services – Town Branch Commons For more information about this opportunity please contact the buyer directly. T – Printing and Delivery of Holographic Passes and Tickets (2016 & SOL RFQ SA-2139 Due Date: Oct 21, 2015 Printing and Delivery of Holographic Passes and Tickets (2016 & 2017) For more information about this opportunity please contact the buyer directly. T – Printing and Delivery of TARC Transit Tickets (2016 & 2017) SOL RFQ SA-2140 Due Date: Oct 21, 2015 Printing and Delivery of TARC Transit Tickets (2016 & 2017) For more information about this opportunity please contact the buyer directly. T – Printing and Delivery of “Passport” Transfer Tickets-2016 SOL RFQ SA-2141 Due Date: Oct 21, 2015 Printing and Delivery of “Passport” Transfer Tickets-2016 For more information about this opportunity please contact the buyer directly. T — Potential Construction Subcontracting Opportunities. SOL Phone: (270) 487-1784; Fax: (270) 487-8029; website http://www.clearyconst.com BID Date: 10/13/15: BID TIME: 1:30 PM. Cleary Construction, Inc. is inviting quotes on the following. Project: EAST FORK CLARK S RIVER INTERCEPTOR SEWER REPLACEMENT CONTRACT NO. 2 Project Location: MURRAY, KENTUCKY Quotes Requested for the following subcontractors: Erosion, Trucking, Video Taping, Surveying, Restoration, Bore & Jack, etc. Quotes Requested for the following materials: Pipe and appurtenances, Manholes, Precast Structures, Stone, Concrete, etc. Additional Information (e.g. DBEs strongly encouraged to bid): We would greatly appreciate any and all DBE/MBE/WBE participation. Plans Available at the following location(s): Cleary Construction, Inc., 2006 Edmonton Road, Tompkinsville, KY 42167. Telephone Number: 270-487-1784 Project Contact Information: Name: Ryan Cornwell Phone: 270-487-1784 Email: estimating@clearyconst.com This notice is provided by the Kentucky Procurement Technical Assistance Center (PTAC). The information is believed to be correct, but should be verified with the issuing agency/organization.